This brine cabin was inspired by – and named after – the Icelandic geyser “Strokkur”. 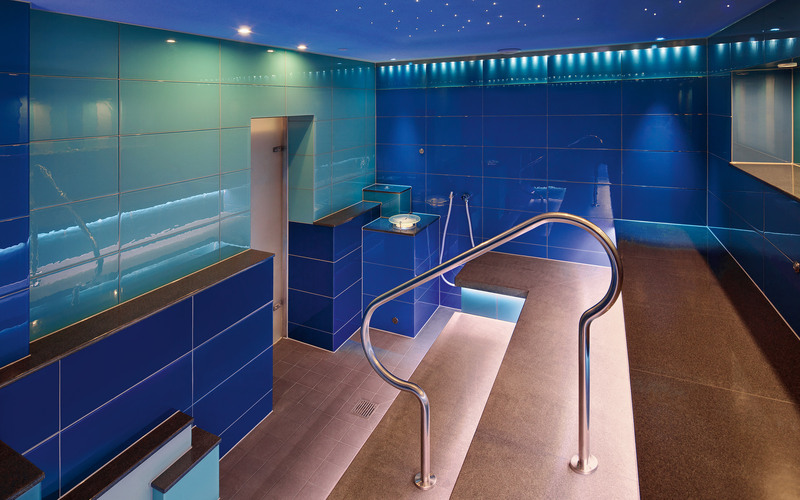 Backlit glass walls, a starry sky, two decorative steam chimneys, individually adjustable steam jet nozzles and the blue, turquoise and green colour scheme whisk bathers away to the mystically enchanting world of Iceland. Spa area with thermal bath, bubble pool, whirlpool, water-filled grottoes, Strokkur brine cabin and relaxation room.